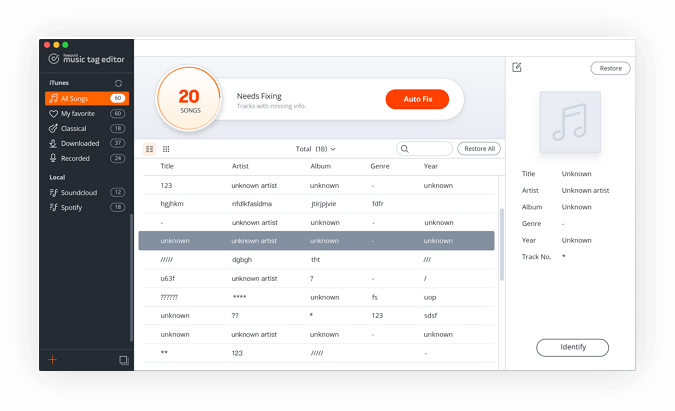 KeepVid Music Tag Editor helps you add or edit ID3 tags, album designs for your music collection automatically with Gracenote Media Database and eliminates duplicates in iTunes / music library. Edit ID3 tags such as song title, artist and more are originally wrong or missing. Add song title, artist, album name, genre and other songs to CD without ID3 tags or otherwise. Repair ID3 tags for iTunes and local music library. Replace art works automatically incorrect album. Add album artwork for songs without CD decks, recording and more. Duplicate MP3 or M4V files take up much of your valuable and limited space on the hard drive, but it takes us a long time to manually remove duplicates. KeepVid Music Tag Editor can intelligently identify duplicate songs and easily remove duplicate in batches as needed. Supported output formats: MP3 (* .mp3), M4A (* .m4a). Next story Live Home 3D 3.5.2 – Powerful interior design app. Previous story Joyoshare Screen Recorder 2.0.0 – Easy-to-use screen capture tool.